These general terms and conditions (“Terms”) apply to all orders made to the “LPG Systems” vendor from a country other than France or its overseas territories for the products and services available on the estore.wellbox.com website. The General Terms and Conditions are automatically presented to the buyer at the time of order, and they are also available by navigating through the estore.wellbox.com site. The applicable General Terms and Conditions are those in effect on the order confirmation date. Placing an order therefore implies the buyer’s full and unconditional acceptance of the terms defined in these General Terms and Conditions, without requiring a handwritten signature from the buyer. The buyer is allowed to save or print the General Terms and Conditions. 1.1. In accordance with Article L.111-1 of the French Consumer Code, the consumer may learn about the essential characteristics of the good(s) he or she wishes to buy on the estore.wellbox.com site prior to placing an online order. 1.2. 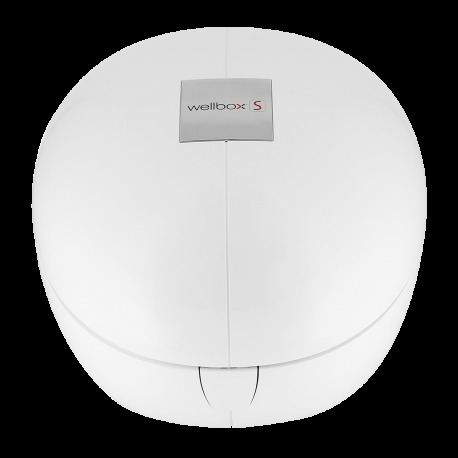 Products shown on the estore.wellbox.com site are valid while supplies last and subject to their availability. 1.3. The buyer is informed that the website is not intended to provide medical and/or paramedical advice. All of the information contained on the estore.wellbox.com website is given purely for information only. LPG does not guarantee that the information available on its website is complete and up-to-date. This information, which is not exhaustive, cannot be used as advice of any nature whatsoever and cannot take the place of professional opinion. This information may change at any time, without prior notice. 1.4. LPG Systems reserves the right to modify the products available for sale on the estore.wellbox.com site at any time, particularly with respect to supplier limitations. 2.1. The guaranteed prices are those displayed on the estore.wellbox.com site at the time the buyer places an order. However, LPG Systems can change prices at any time, such as in the case of special circumstances surrounding economic factors, fees, taxes, changing labor costs, the cost of raw materials, specific buyer requirements, etc. The buyer will be notified of such changes before placing an order on the website. 2.2. Prices shown do not include shipping costs, which are added to the price of the purchased items, following the total order amount. Shipping is free for orders over one hundred euros (€100)*. These charges are listed in the order summary before the buyer finalizes the order. 2.3. ANY SALE TO A COUNTRY OTHER THAN METROPOLITAN FRANCE AND ITS OVERSEAS TERRITORIES RENDERS THE BUYER AN IMPORTER, SOLELY RESPONSIBLE FOR THE ENTRY OF THE PRODUCTS INTO THE DESTINATION REGION AND ALL NECESSARY STEPS, INCLUDING TAXES, CUSTOMS DUTIES, IMPORT FEES, AND OTHER EXPENSES. 3.1. Any order implies the buyer’s unconditional acceptance of these General Terms and Conditions The buyer will be asked to accept them as the last step of placing an order on the estore.wellbox.com site. 3.2. The buyer chooses the exact product by adding it to the cart. The cart constitutes the buyer’s order, and the buyer has the option to confirm and change the details of their order in the “My Cart” tab at any time. 3.3. Once the order is complete, a summary displays, and the buyer can change the order or confirm it. Once the order has been confirmed, the buyer enters the information needed for billing and shipping the items. The information provided by the buyer is binding. If there is an error in the shipping information, neither the site nor LPG Systems can be held responsible for being unable to ship the item(s). 4.1. Full payment is due at the time of order. 4.3. Once payment is complete, the buyer’s order will automatically be validated and treated as an irrevocable commitment on the part of the buyer, who is bound by law and by these General Terms and Conditions. 5.1. The buyer’s order confirmation, sent by LPG Systems, is emailed to the email address provided by the buyer when placing the order on the estore.wellbox.com site. In no event may LPG Systems be held liable for errors in the email address provided by the buyer. 5.2. LPG Systems reserves the right not to confirm an order for any reason whatsoever (including a problem with the order received or a supply problem). It has five (5) business days to inform the buyer that it cannot fill the order, providing the buyer the option to change or cancel the order. 5.3. Pursuant to applicable law, when an order is for an amount greater than or equal to €120, LPG keeps the verbiage stating that the contract entered into electronically between it and the buyer for the period of time from the start of the contract until the date of delivery and for 10 years thereafter. The buyer can then access this document at any time by writing to « Wellbox® Customer Service – LPG SYSTEMS – 30, rue Dr Abel -Technoparc de la Plaine – 26000 VALENCE (France) » or by emailing ecommerce.wellbox.fr@lpgsystems.com, indicating his or her identity. LPG Systems recommends that the buyer save the order confirmation it received, whether on paper or electronically. 6.1. ALL ORDERS ON THE estore.wellbox.com SITE MAY BE DELIVERED INTERNATIONALLY, PROVIDED THAT THE BUYER COMPLIES WITH THE PROVISIONS SET FORTH IN ARTICLE 2.3 OF THESE GENERAL TERMS OF SALE. If the buyer wants the order to be shipped to a friend, neighbor, or workplace, he or she must specify that during the order by clearly indicating the shipping address. 6.2. LPG Systems has chosen La Poste’s Colissimo International, Chronopost International and UPS for delivering the buder’s orders. Delivery is made by leaving the product at the recipient’s address and getting a signature of receipt from the identified recipient. The buyer should always check the package’s contents and condition before signing the delivery slip. The buyer must report any dispute to the carrier regarding shipping (including, but not limited to, breakage, damaged item, damaged packaging, etc.) on the delivery slip or within twenty-four (24) hours. This written record from the carrier is required for any exchange or reimbursement request. For all items other than Wellbox®(cosmetics, accessories, etc. ), packages accepted by the buyer will be deemed free of defects as of delivery. 6.3. If the buyer or package recipient is absent at the time of delivery, notice will be left to indicate when and where to pick up the package. Postpone shipment of the entire order until the item is in stock. Accept a partial shipment with a refund for the price of the non-delivered item(s). The buyer can then place a new order when the product becomes available. Cancel and accept a refund for the entire order. 6.4. For orders confirmed on the estore.wellbox.com site before 1 p.m., Monday through Friday (excluding holidays), the order will be prepared within 24 hours, provided that the ordered items are in stock. Delivery times for Colissimo International, Chronopost International and UPS are 5 to 14 business days from the time LPG ships the order, depending on the destination. LPG will also keep the buyer informed, within a reasonable amount of time, of force majeure events that may disrupt the delivery of the ordered product. 6.5. In the case of force majeure (as defined under existing French law and case law), the buyer cannot claim damage, interest, or withholding or cancel a current order due to a late delivery, such as in the event of a total or partial strike that is internal or external to the company, blocked means of transportation or supply, or government or legal restrictions. • The defect was caused by the fact that the product was subjected to: use in contradiction to this operator manual, rough handling, exposure to excessive moisture, extreme thermal or environmental conditions, or rapid change in such conditions, exposure to corrosion, oxidation, unauthorized modifications or connections, unauthorized repairs or repairs performed by the buyer himself, repairs performed with unauthorized spare parts, misuse, improper power, noncompliance with the installation instructions, incorrect installation, an accident, forces of nature, contact with liquid, the action of chemical products, and other acts that are reasonably beyond the control of LPG Systems. • The defect results from the fact that the product was used with an accessory that was not made or provided by LPG Systems. • The buyer agrees to return the product in its original packaging. LPG Systems is not responsible for any damage to the product caused by it being shipped in the wrong packaging. LPG Systems reserves the right to request a flat charge from the buyer to cover product shipping charges. • The warranty constitutes the buyer’s sole and exclusive remedy against LPG Systems and LPG Systems’s sold and exclusive responsibility to the buyer for product defects. The warranty replaces all other warranties or liabilities, whether oral, written, legal (unless mandatory), contractual, tortious, or otherwise. LPG Systems is not responsible for damages or incidental, consequential, or indirect costs. Any changes to the warranty shall require the prior written consent of LPG Systems. All of our products are covered against manufacturing defects. Defective products must be returned for inspection at the buyer’s expense, to determine the validity of the claim. The product receipt is required in order to qualify for the product warranty. If any defects are found, the product will be returned to the buyer or exchanged, depending on the buyer’s preference and while supplies last. If a refund is required, it must be carried out within thirty (30) days of receiving the buyer’s returned product. Return costs may then be refunded with proper proof. The buyer shall be entitled to the legal warranty for hidden defects, as defined under Articles 1641 et seq. of the French Civil Code. 8.1. In accordance with currently applicable legal French provisions, the buyer shall have seven (7) days from receiving the product(s) to exercise his or her right to cancel through LPG Systems, without having to provide a reason or pay a penalty apart from the cost of return. LPG Systems extends this period to fourteen (14) days from the buyer’s receipt of the product(s), thereby allowing the buyer to return the product(s) in its original packaging. 8.2. The cost of the product(s) will be refunded only after our Customer Service department verifies the quantity and quality of the items being returned. The items must be in perfect condition and must not have been used or have suffered damage of any kind. 8.3. When the buyer exercises his or her right to cancel, LPG Systems shall reimburse the buyer for the entire amount paid as quickly as possible, no later than thirty (30) days after the right was exercised. The refund may be made by any method of payment. LPG Systems shall offer a refund by check denominated in euros. The buyer who executed his or her right to cancel may instead choose another method of reimbursement. 9.1. In accordance with the amended Data Protection Act, French law no. 78-17, dated January 6, 1978, on data processing, data files, and individual liberties, the estore.wellbox.com site has submitted a declaration to the Commission Nationale de l’Informatique et des Libertés under declaration number 1453431. LPG hereby informs the user that LPG saves the information (personal data) collected as part of the online sale of products available on the estore.wellbox.com website for the purpose of managing and processing orders and handling its business relationships with its customers. LPG may use information that the buyer transmits directly to LPG through theestore.wellbox.com site regarding an order for the purpose of sales prospecting. Depending on the user’s preferences, this information may also be used by commercial partners for advertising. 9.2. In accordance with the Data Protection and Privacy Act, the user has a right to access, modify, correct, and delete his or her personal information. Under these terms, the user is entitled to access his or her personal data and to receive a copy of the information by sending a request either by email from the website’s “Contact” section or by postal mail. 10.1. These General Terms of Sale are governed exclusively by French law. These General Terms of Sale are originally written in French. If they are translated into one or more other languages, only the French text would prevail in the event of a dispute. 10.2. Claims or disputes will be kindly accepted and given our highest level of attention. In the event of a dispute, the buyer may contact LPG Systems for an amicable solution by writing to LPG Systems – Wellbox® Customer Service – 30, rue Dr Abel -Technoparc de la Plaine – 26000 VALENCE (FRANCE) or by emailingecommerce.wellbox.fr@lpgsystems.com. ANY DISPUTE CONCERNING THE INTERPRETATION OR ENFORCEMENT OF THESE GENERAL TERMS AND CONDITIONS SHALL BE THE EXCLUSIVE JURISDICTION OF THE COURTS COVERING THE AREA IN WHICH THE LPG SYSTEMS REGISTERED OFFICE IS LOCATED. 11.1. A buyer wishing to place an order on the estore.wellbox.com website hereby states that he or she is of full legal capacity. However, any purchase made on the site by a legally incapable individual under the French Civil Code shall then by the responsibility of that person’s legal representative. 11.2. If one or more of the provisions of these General Terms of Sale are found to be invalid, illegal, or null or declared as such under any law, regulation, or final decision handed down by a competent court, the other provisions of these General Terms of Sale shall retain their full force and effect. 11.3. LPG provides customers with access to Customer Service to answer any questions and to listen to any comments they may have while using the site. They can also offer advice regarding the products available for sale on the estore.wellbox.com website.